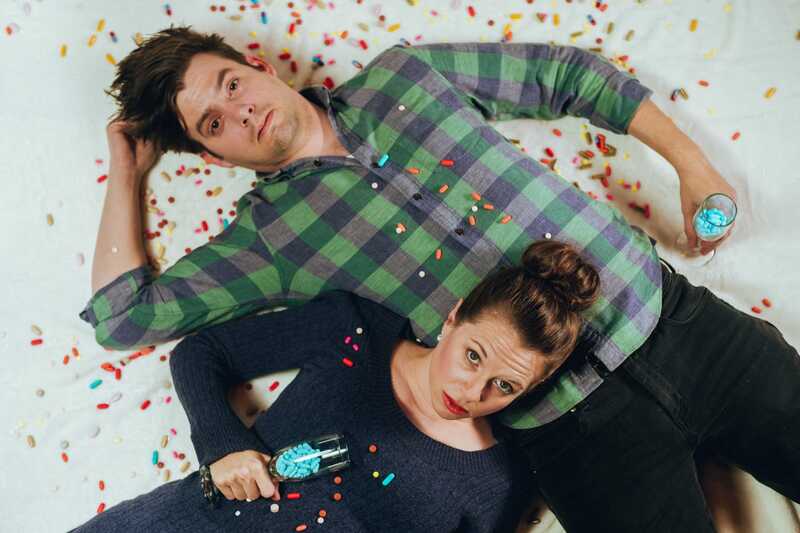 Second Thought Theatre presents Empathitrax, a play about mental health by Ana Nogueira, April 4-28.The area premiere stars Jenny Ledel and Drew Wall and is directed by Carson McCain. Performances will be in Bryant Hall on Kalita Humphreys Campus, 3636 Turtle Creek Blvd. Sharing the stage for the first time since 2015’s Belleville, Ledel and Wall star as HER and HIM, a couple so desperate to salvage what’s left of their long-term relationship they opt to remove all barriers between them. Enter Empathitrax – a new pill that allows the user to feel what another being is feeling just by touching. Like any drug, there are unexpected side effects, especially when mixed – or NOT mixed with other drugs – and they must re-examine whether boundaries are necessary to make a relationship work. Empathitrax opens with previews on April 4 and 5 at 7:30 p.m. Opening press night is April 6 at 8 p.m. PWYC performances of Empathitrax will be April 4,5,9,16, and April 23 at 7:30 p.m. PWYC tickets are available at the box office one hour prior to the start of the performance and are subject to availability. Tickets to Empathitrax are $25, on sale now at secondthoughttheatre.com.